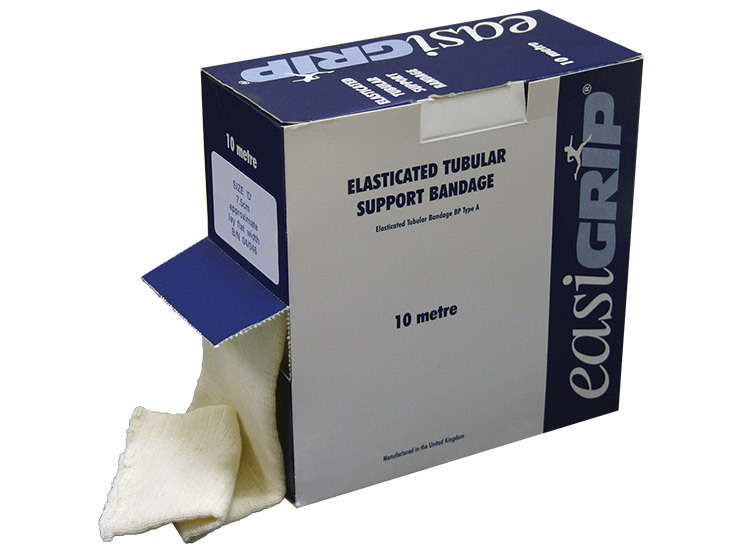 Elasticated tubular bandage, ideal for sprains, strains and support for weak or injured limbs. Made from 100% pure cotton, it can also be used for dressing retention. Soft yet strong, close fitting, but easy to put on. Washable so it can be used again and again without losing its quality.